When looking for a camping hammock, there are many things to consider. Of course, you want the best hammock for the best value, and of course you want ratings and recommendations, but you also want to support companies and manufacturers with great reputations, durable products, and excellent corporate values. Today we are profiling some of the best camping hammock brands in the industry. We’ve looked at company history, awards and press, and corporate citizenship, so that when you buy your camping and outdoor gear, you know you’re doing business with a name you can trust. Now I’m well aware that what I’m about to say is not the popular opinion. But I’m not the biggest fan of ENO because their hammocks are small, but as shown in this article they do help a lot with the enviorment and camping in general. 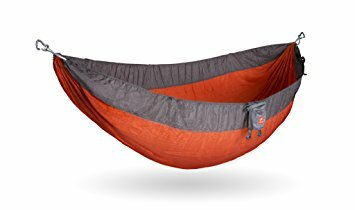 Their most popular hammock by far is the ENO Doublenest, which you need to make sure you know the weight limit of, but they also have several suspension systems, and drips strips. But that’s just the start. ENO was founded in 1999 by brothers Peter and Paul Pinholster. They set up a minivan and began traveling the east coast, selling hammocks at music festivals and community events. In time, their operation outgrew the minivan, and they settled in Asheville, North Carolina. The brothers’ dedication to selling the most comfortable hammocks in the world helped ENO grow into a leading provider of hammocks and products for travelers and nature lovers around the world. ENO products are sold in over 2000 retail locations in 13 countries. Featured in Backpacker Magazine, Men’s Fitness, Huffington Post, Canoe & Kayak Magazine, Popular Mechanics, and more. My Grand Trunk Double Hammmock was one of my first ever hammocks and it’s really the one that I used regularly for camping. Because of that Grand Trunk will always have a soft spot in my heart. To get an idea of what the Grand Trunk double is like check out this comparison with the Eno Doublenest. Grand Trunk was founded in 2001 by Jon Neff and Kevin Kaiser after they met on a small island in Thailand and discovered a shared passion for getting people off the ground. The company is named for one of Asia’s oldest and longest roads, which once connected East and West. Over the years, it was lined with trees to give shade to travelers. Neff and Kaiser aim to connect people with their destinations while making the journey as comfortable as possible. Today, in addition to hammocks, the company offers hiking, camping, beach, and travel gear, built to inspire, and outlast a lifetime of adventure. Heroes discount program, available to active duty military members, reservists, National Guard members, veterans, and military retirees valid for 30% off Grand Trunk products for life. Mentioned in GearJunkie, BuzzFeed, the New York Times, Huffington Post, Outside Magazine, and Real Simple. Kammok is one of my personal favorite companies because of their innovation and how strong their hammocks are. Just to get a glimpse at this check out the comparison ofthe Kammok Roo and the Eno Doublenest or the review of the Kammok Wallaby. In 2010, Kammok founder Greg McEvilly was excited about the possibilities of hammock camping, but his first night outdoors was interrupted by a tear in his hammock and a fall to the ground. Inspired to create something better, Greg founded Kammok to make hammocks that were lighter, tougher, more durable, and more inviting. Kammok is driven by a mission to equip and inspire life-changing adventures, elevating camping in every way possible. They believe there is a better way to experience the outdoors, through our core values of adventure, community, and love. Kammok has been evaluated by B Lab and committed their business practices to reach a high caliber of social and environmental sustainability. Kammok is proudly B Corp certified. Kammok wants to avoid having their products end up in landfills. If a Kammok product has reached the end of its lifecycle, please send it back to the company and they will reuse the materials. Hennessy is the pioneer in hammocks with built in mosquito nets and tarps. So for that they have my respect. But they haven’t stopped their, they also have some more innovative products like their snake skins. Hennessy inventor and company founder Tom Hennessy, has been sleeping in hammocks for over 60 years and experimenting with designs for over 40 years. He made over 50 prototypes and beta-tested his designs for six years before getting five patents and going into production. Hennessy Hammock is a small family-run company whose only mission is to continually improve the evolution of hammock design. Hennessy Hammock is a corporate sponsor of Leave No Trace. USA Today “Best of Show” Outdoor Retailer, Summer 2000. Mentioned in the New York Times, USA Today, Newsweek, Mother Earth News, Backpacker Magazine, Field & Stream, and more. 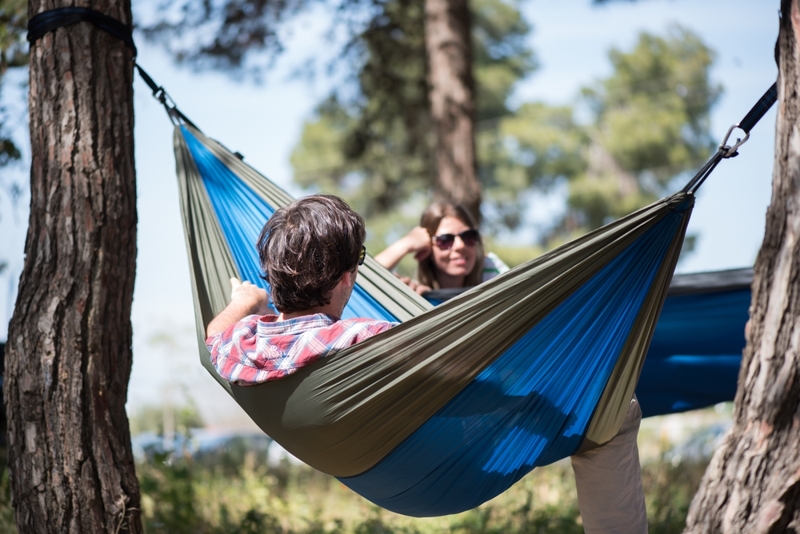 As you can see, all these companies are exceptional corporate citizens, delivering high-quality products, and driven by great values, which is why they make the list of the best outdoor hammock brands for camping. You can feel confident buying your outdoor gear from these great businesses and supporting a better world at the same time. These are all high quality hammocks built by these brands, so undourtunately they’re on the pricey side. But I know some of you are on a budget so we also have the best camping hammocks under $50 lined up for you.